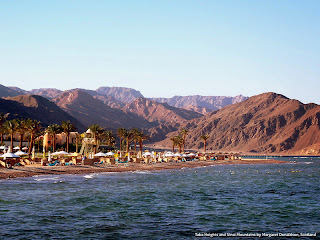 Taba's exceptional geographical location between Africa and Asia at the tip of the Gulf of Aqaba facing Saudi Arabia made it a stopover on the caravan route from the 14th century onwards. 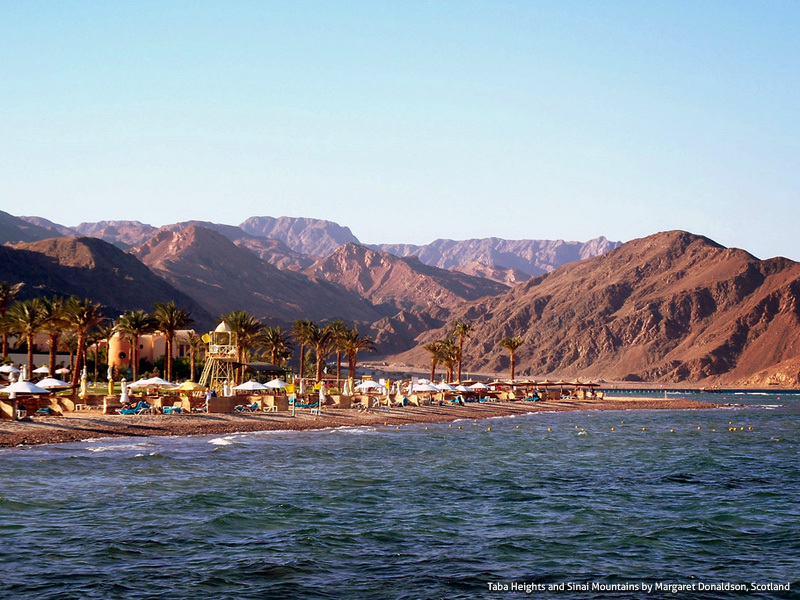 Today, Taba is a flourishing touristic destination for guests from around the world in search for pristine beaches and exceptional coral reefs to explore. 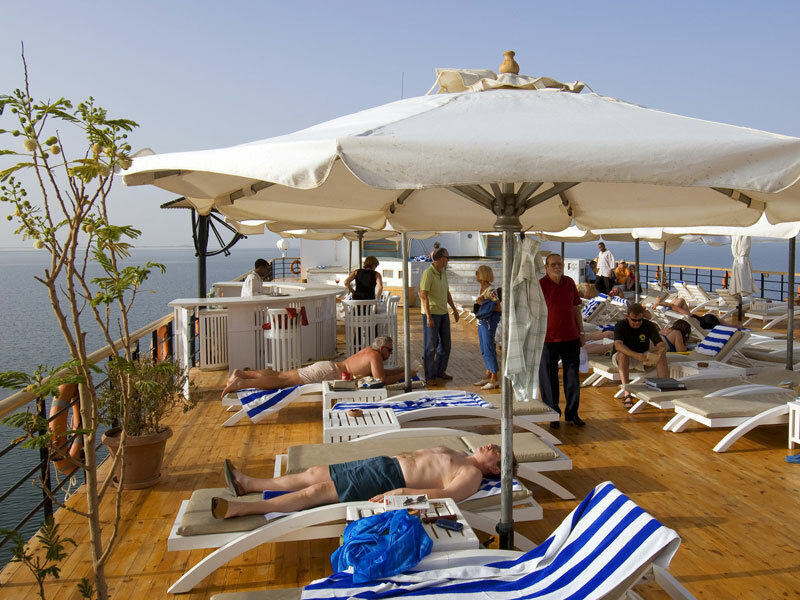 This is no surprise with its warm winter sun and temperatures reaching 22°C; in summer the dry climate makes the heat pleasant and the average is 33°C. 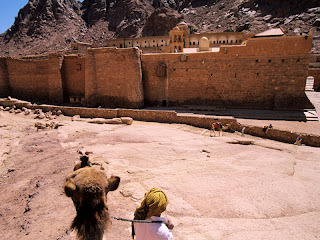 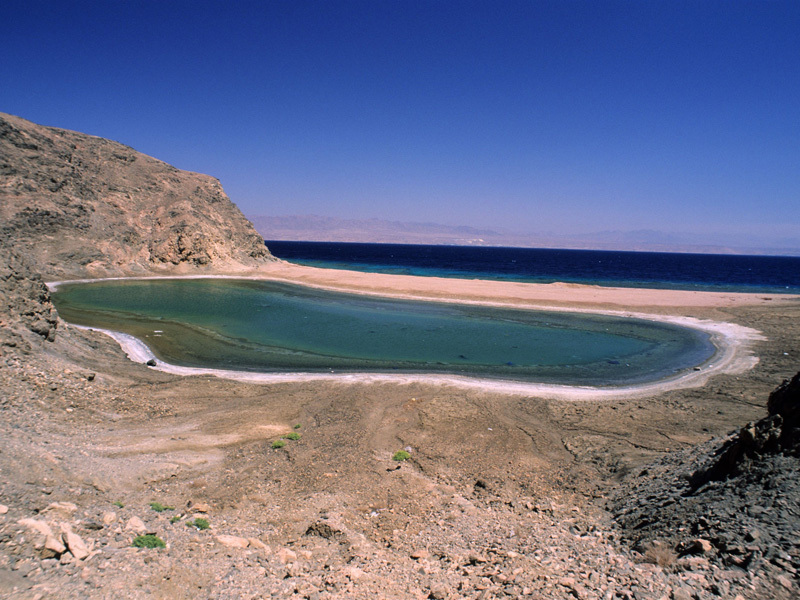 But there's more to Taba than the common sea and sun resort/diving vacation, the nearby Sinai landmarks are must-sees, and they're all only a couple of hours away. 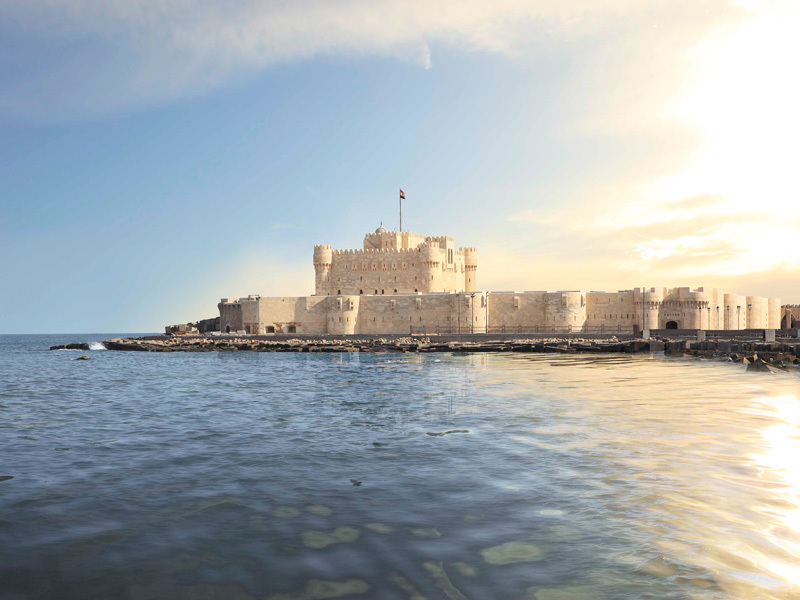 Be sure that the impressive coloured canyon, the inspiring St. Catherine's Monastery and the massive Saladin fortress are all worth an escape from your resort activities. 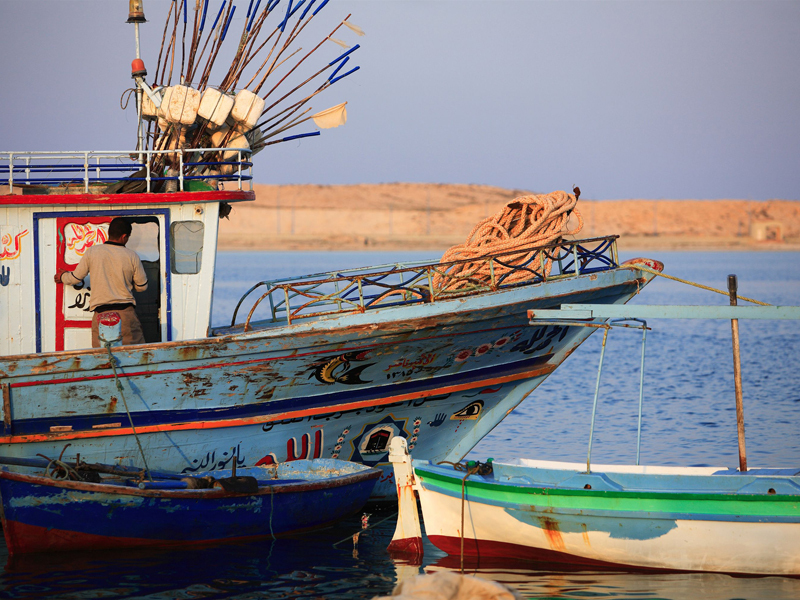 Nestled inside a big circular bay and protected from the high seas by a series of rocks forming a natural breakwater, Marsa Matrouh is a relatively secluded destination on Egypt’s Mediterranean shore. 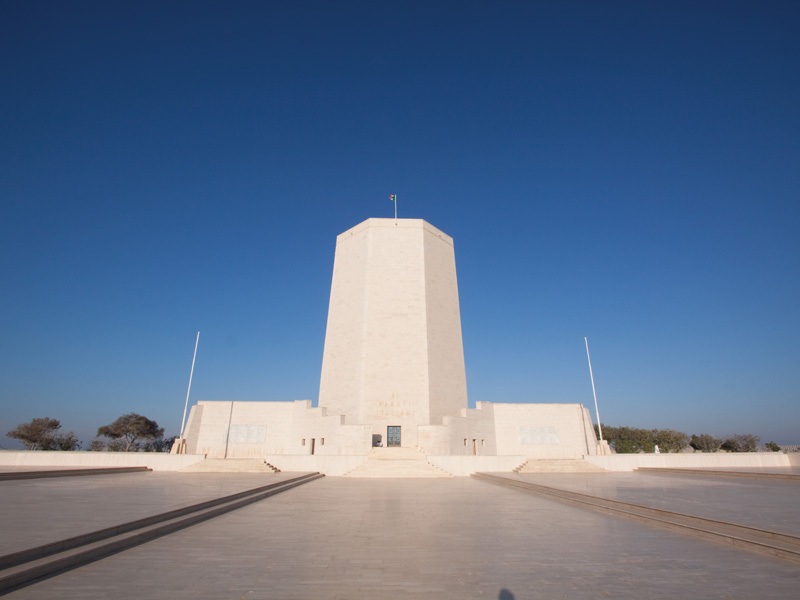 It is the capital of the Matrouh Governorate, which extends from the 61st km of the Alexandria-Matrouh highway to the Egypt-Libyan border (450 km of coast), from East to West, and from the coast 350 km deep into the western desert of Egypt, including Siwa Oasis. 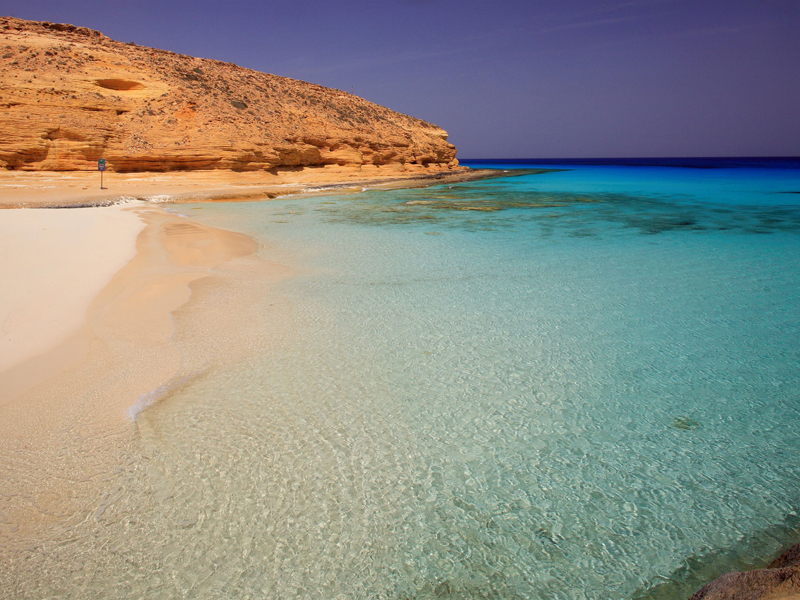 With long sandy white beaches and crystal clear waters, such as Agiba Beach and Gharam Beach, described by many as one of the most beautiful seashore landscapes in the world, many believe that Cleopatra herself bathed in the tranquil waters of Marsa Matrouh. 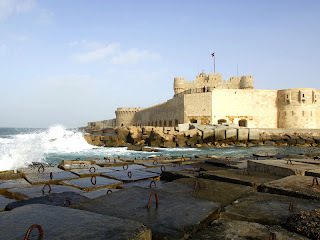 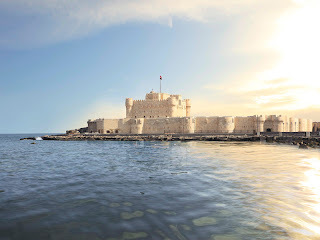 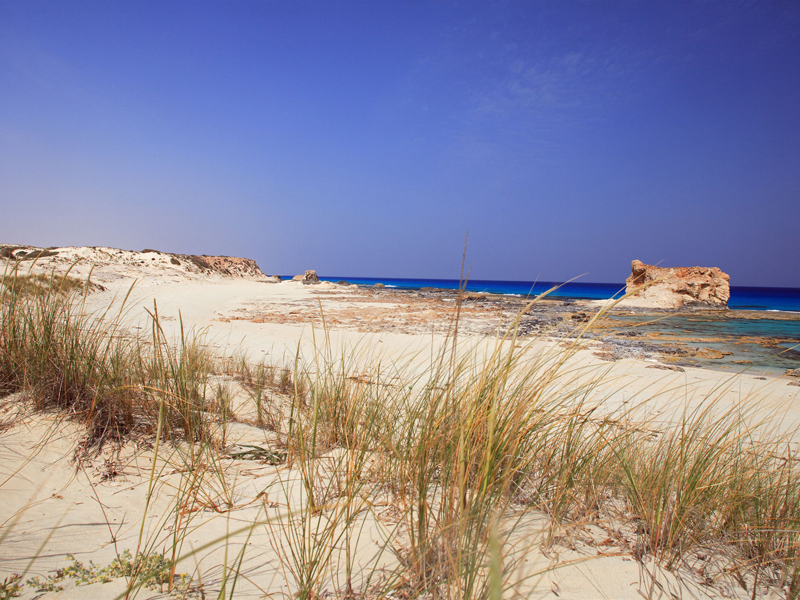 The reputed spot, Cleopatra’s Beach, is still accessible and you surely won't miss it during your visit. 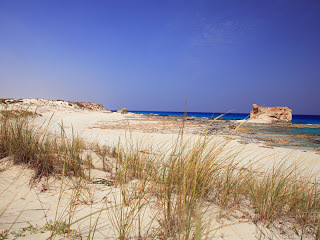 The coastal Mediterranean climate lends this town its moderation in summer and the cold in winter. The best times to visit are in May and September. 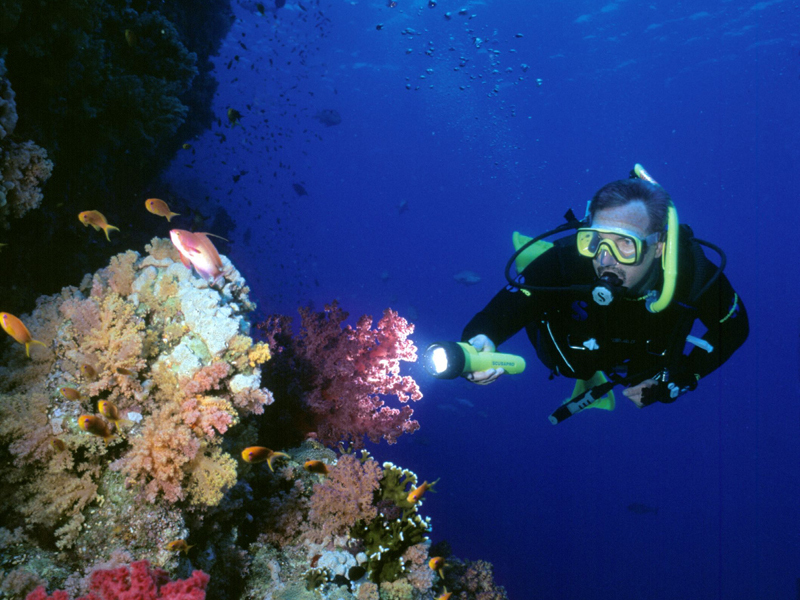 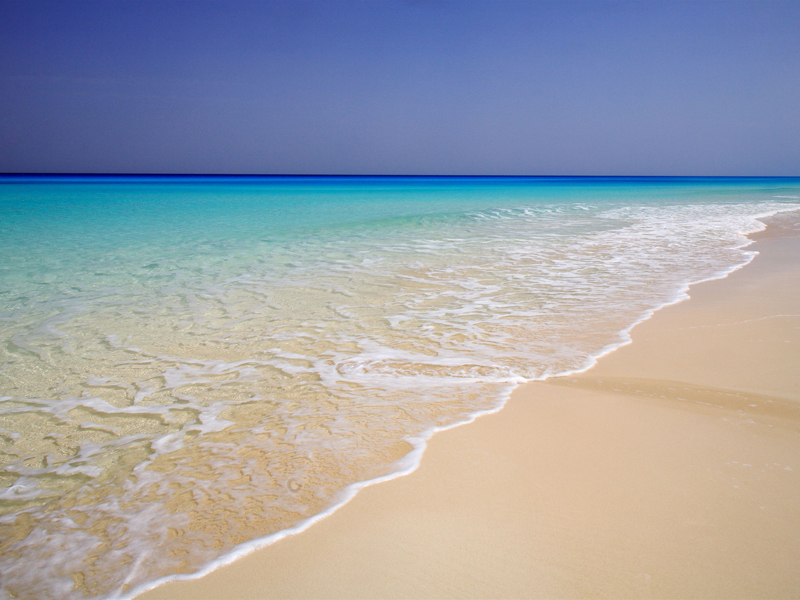 The water’s colour ranges from blue to green, due to the depths differences in Matrouh’s bay. 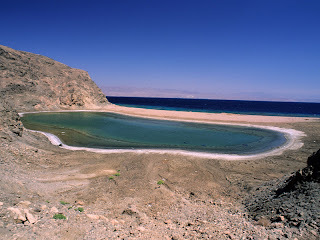 The irregular sea ground forms an amazing underwater world of mountains, valleys and colourful fish species. 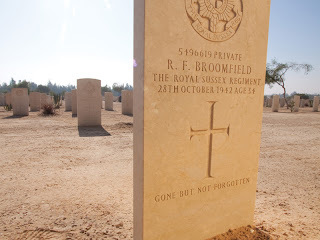 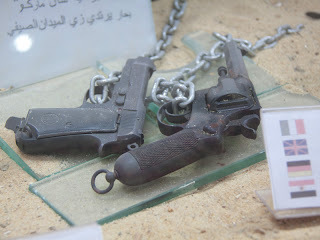 Marsa Matrouh is in the north-western corner of Egypt where Erwin Rommel, the desert fox himself, picked a cave near the shore to command operations during the Battle of El-Alamein. 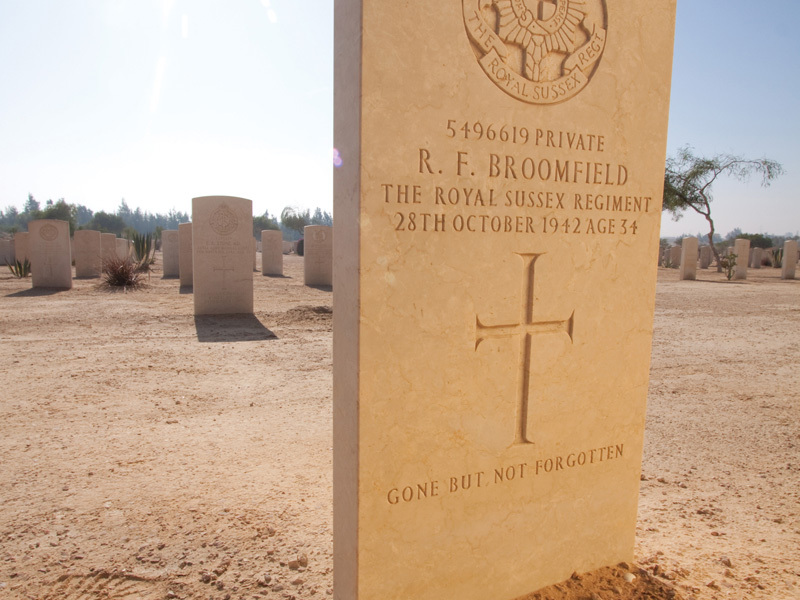 Rommel’s cave’s still there, it has been transformed into a "Rommel Museum" which you can visit today. 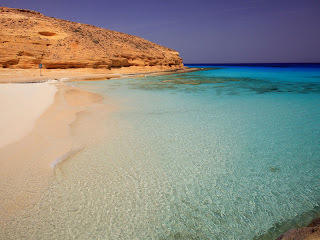 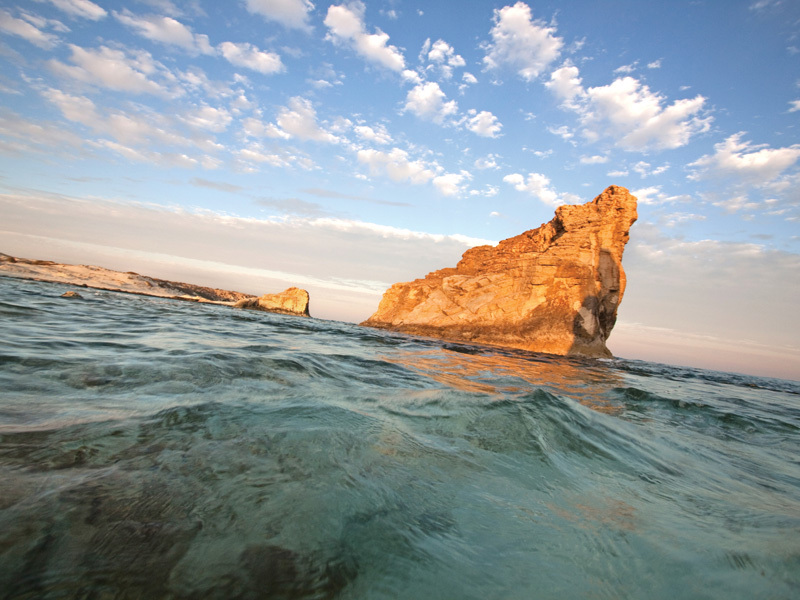 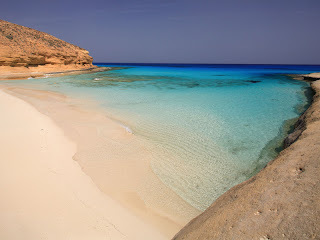 Marsa Matrouh's average temperature can reach highs of 28 C in summer and lows of 13 C in winter. 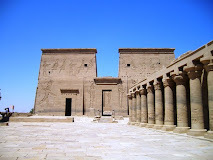 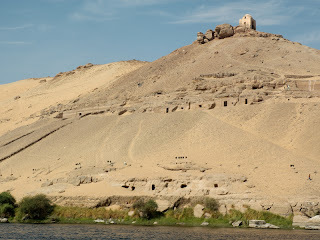 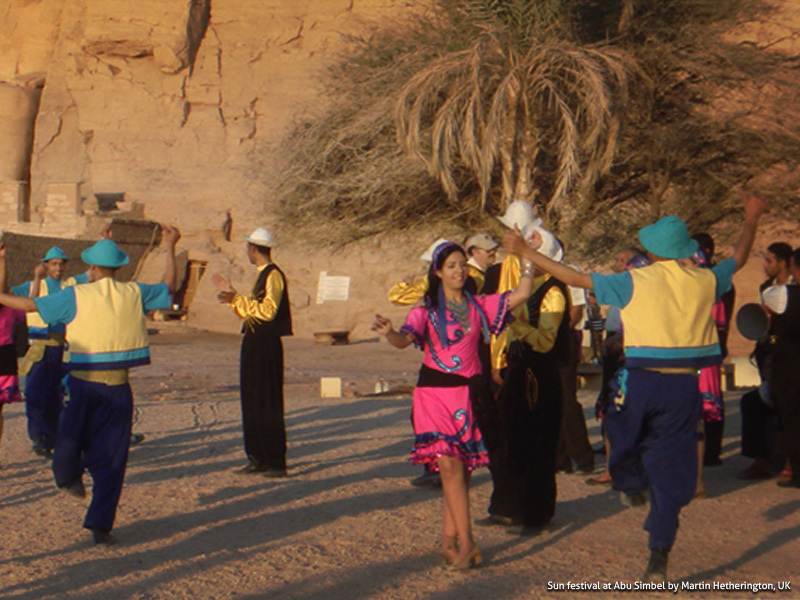 The very small village of Abu-Simbel lies 280 km south of Aswan, and only 40 km north of the Sudanese border. 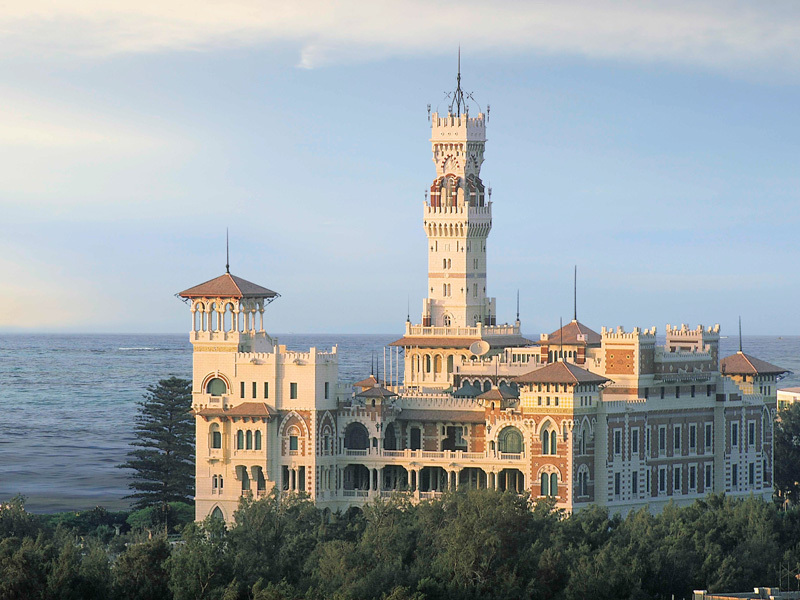 Even though it is home to several hotels, the small town is usually overlooked by tourists as a holiday destination. Most of them prefer to visit the Nubian town on a daytrip from Cairo or Aswan or as an extension to a Nile cruise or a Lake Nasser Cruise. 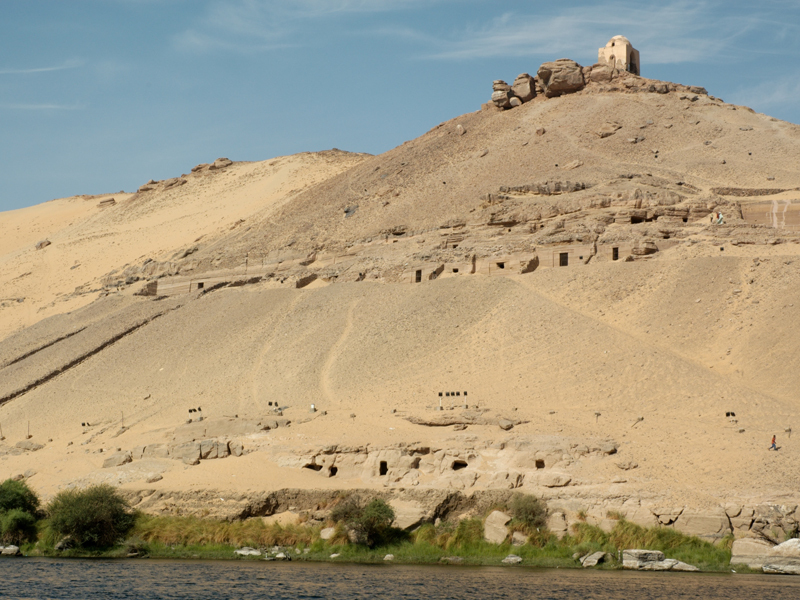 Perched atop a hill overlooking the Nile, the majestic Abu-Simbel Temples are a UNESCO World Heritage Site. 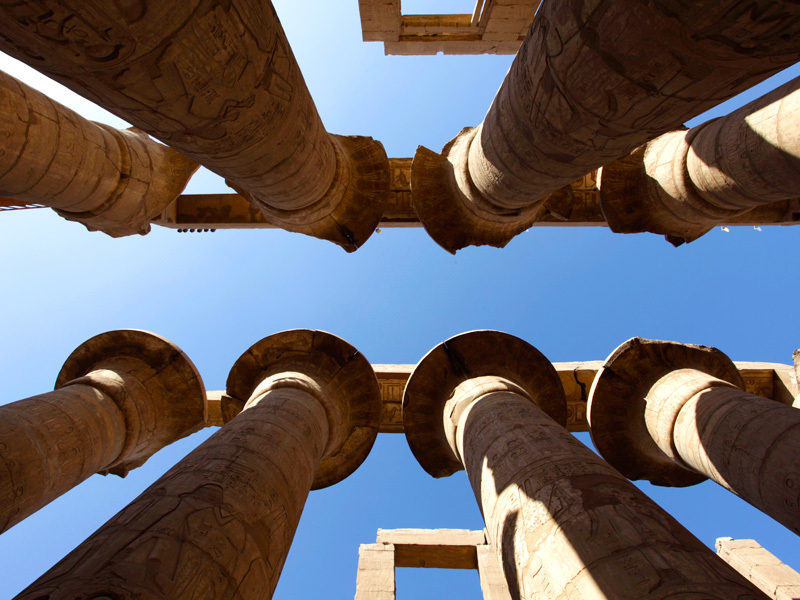 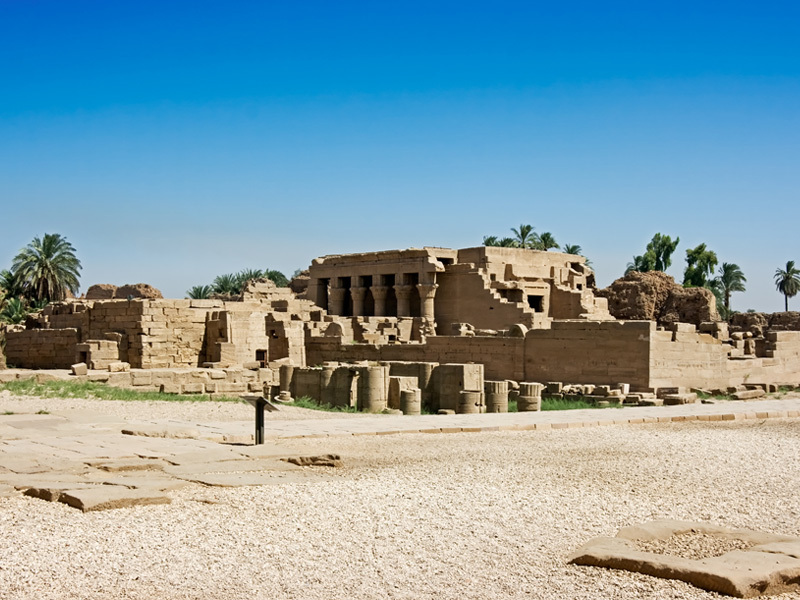 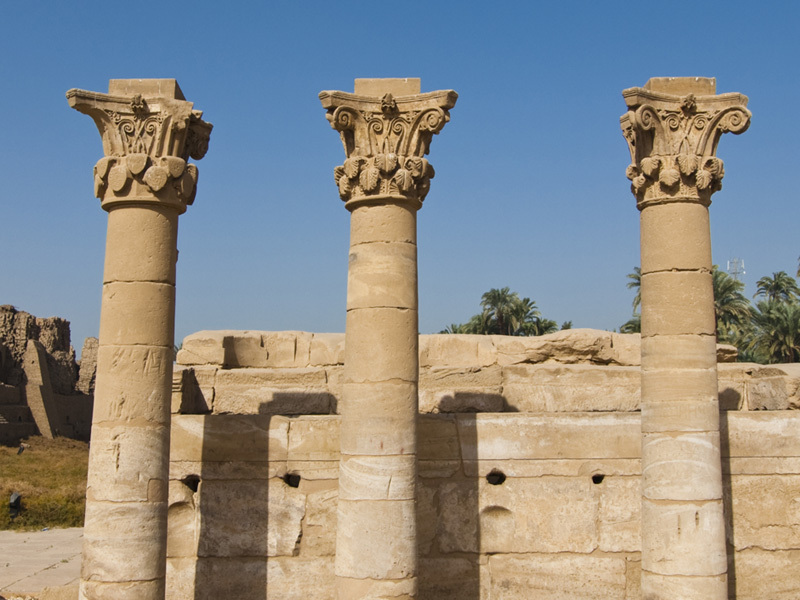 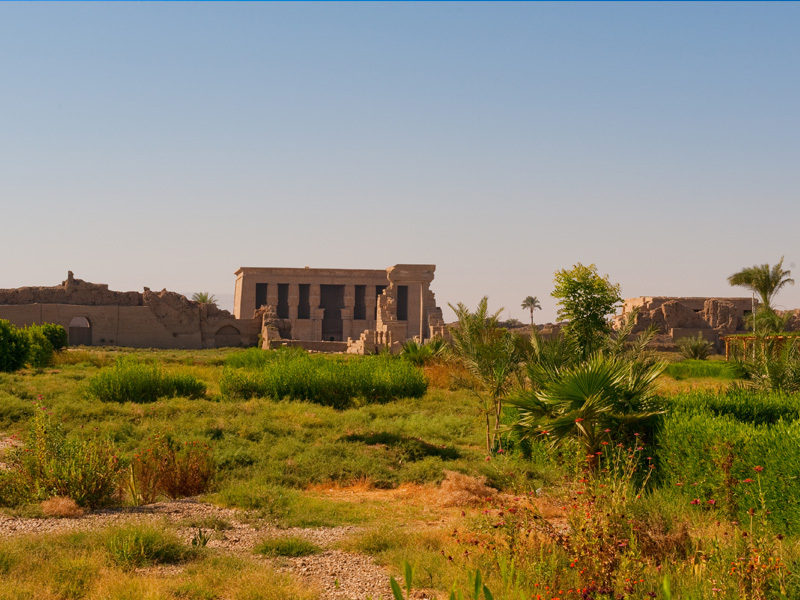 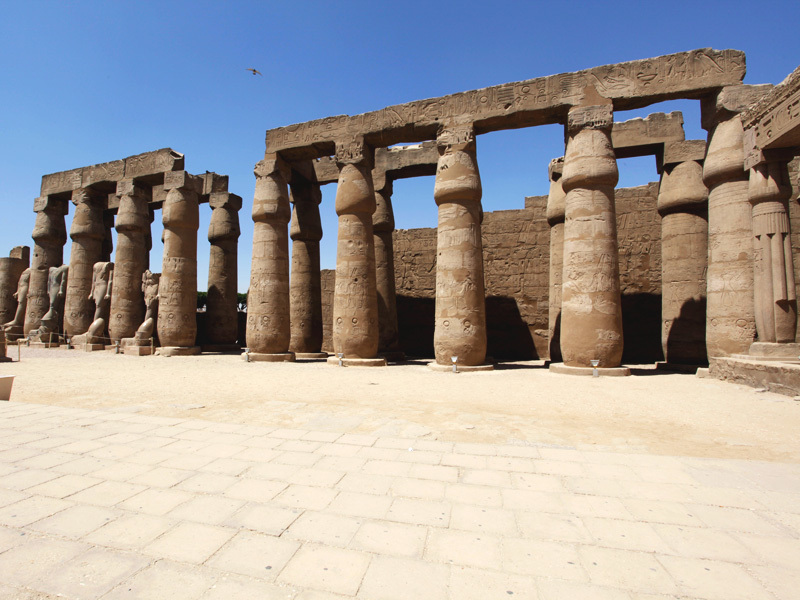 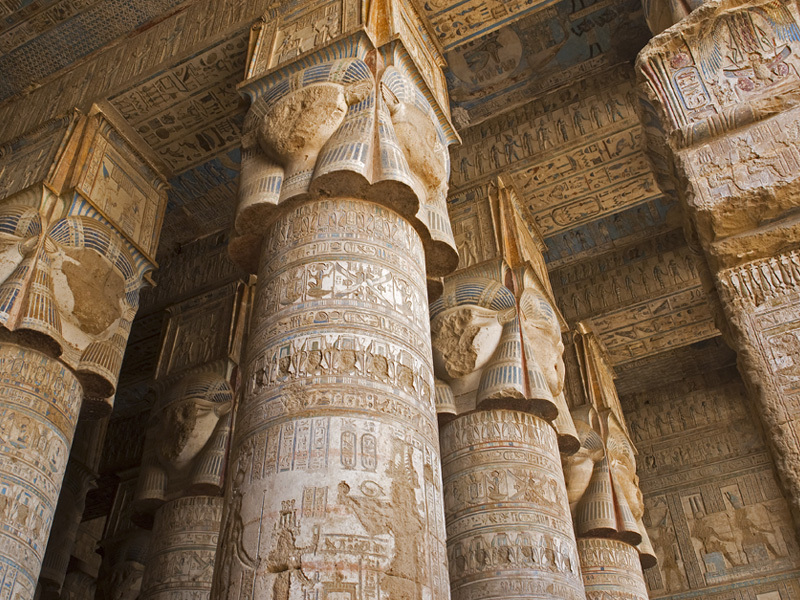 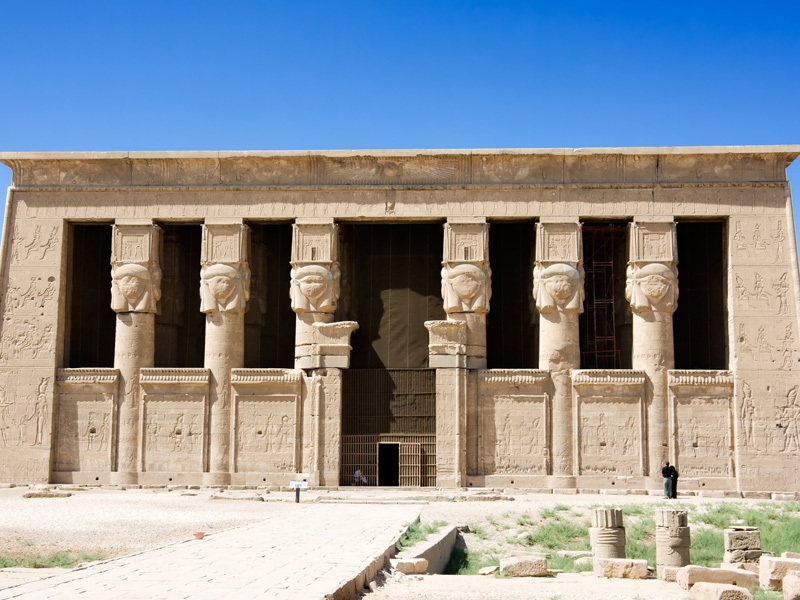 Dedicated to Ramses II & Nefertari, the world-famed temples will take your breath away. After a visit to this inspiring site, you can walk around the colourful touristic market, go bird watching on the Lake Nasser, and get back to the temples again in the evening for the amazingly inspiring sound & light show. 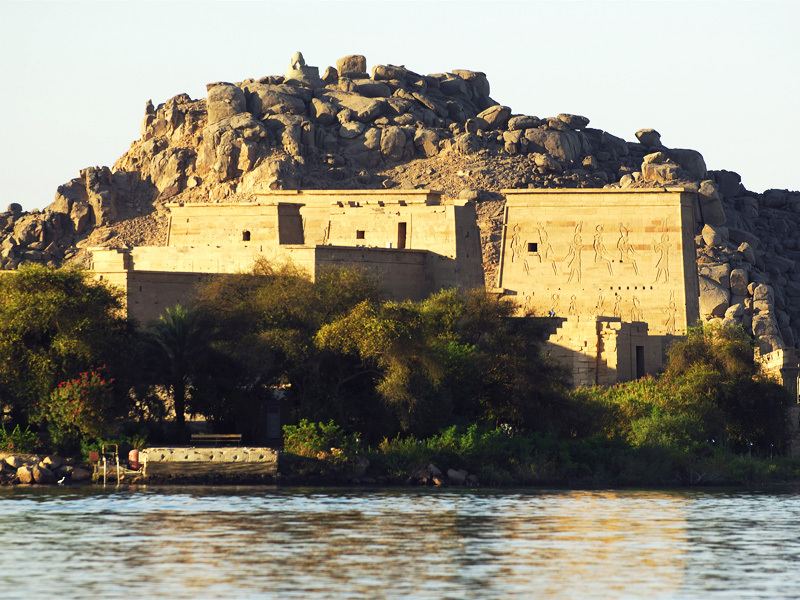 Staying in Abu-Simbel for a night or two will allow you to enjoy the peace and magic of this Nubian town at your own pace and discover the true spirit of Abu-Simbel, gaze at the magnificent statues for hours and avoid the hordes of tourists arriving usually in the early morning. You’ll also get a glimpse of the hearty Nubian culture by listening to Nubian music, meeting with the locals, and maybe even escaping to the nearby desert for some more inspiring experiences. 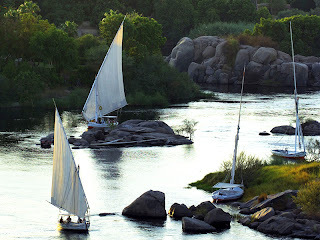 Located about 899 km south from Cairo, Aswan is a serene Nile Valley destination where the Nile is more majestic than anywhere else, flowing through granite rocks, and round emerald islands covered in palm groves and tropical plants. It is considered as an all-time favourite winter destination. 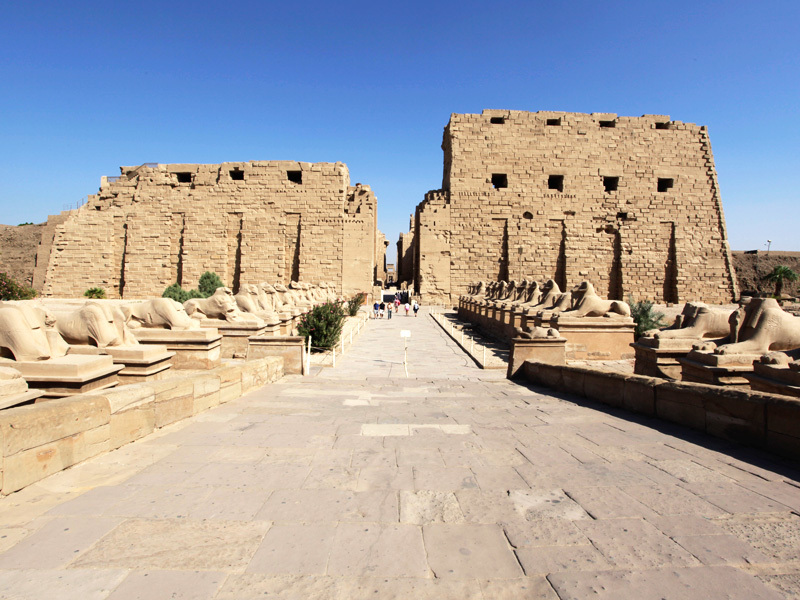 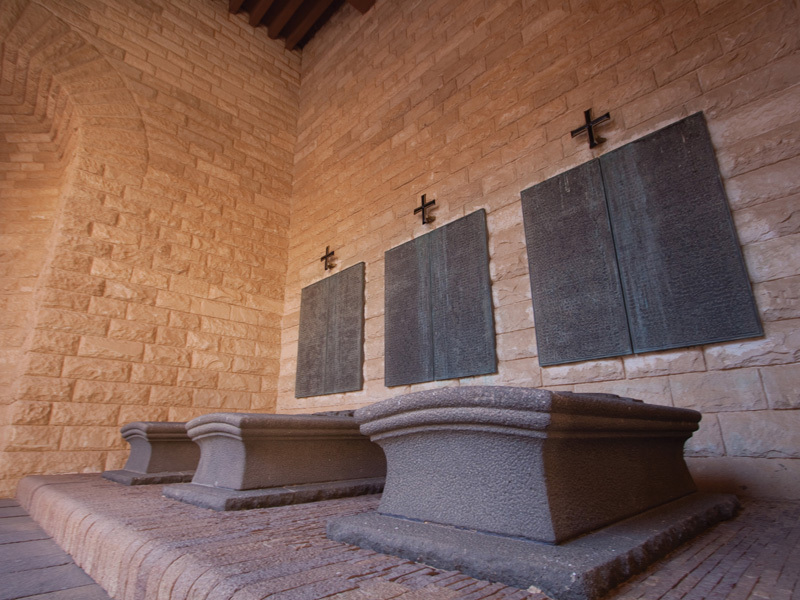 Moreover, you'll be surprised to see how many monuments and sites this small city has to offer. 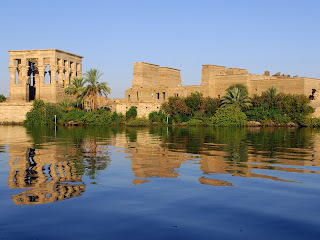 Consider sailing to the temple of Philae, seeing the Agha Khan Mausoleum and taking an excursion to St. Simeon’s Monastery. 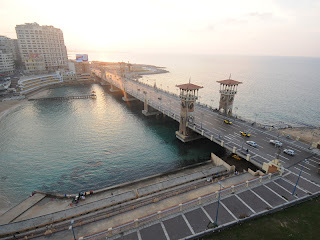 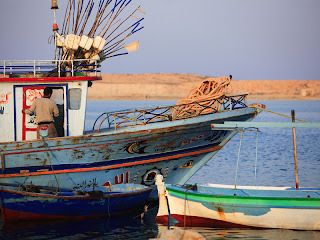 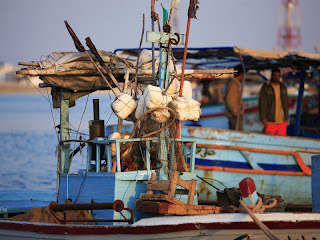 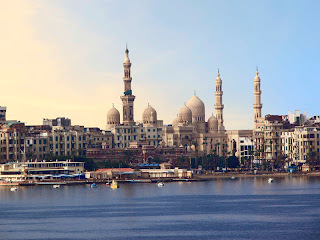 Egypt's sunniest southern city is the perfect destination to stroll and relax in a magical cultural setting: wander down the broad walkway, locally known as the corniche, to watch feluccas slowly sailing the Nile then stop at one of the floating restaurants to enjoy Nubian music and freshly caught fish. 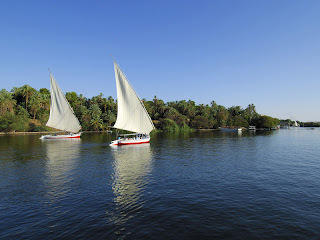 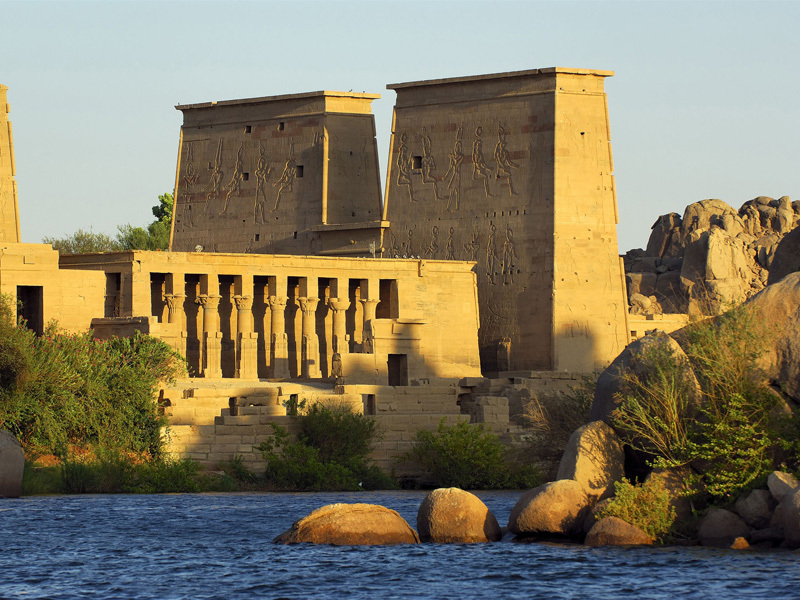 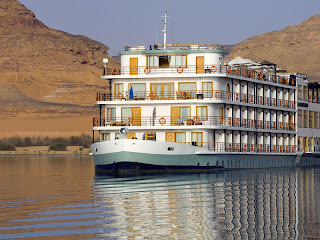 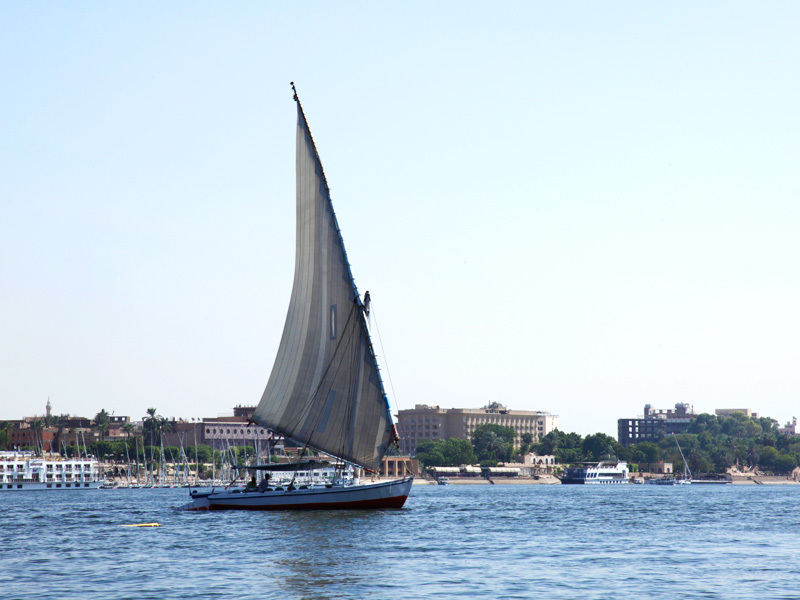 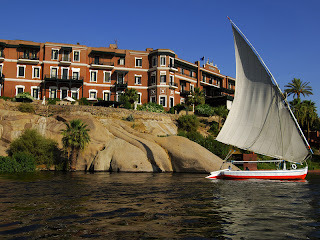 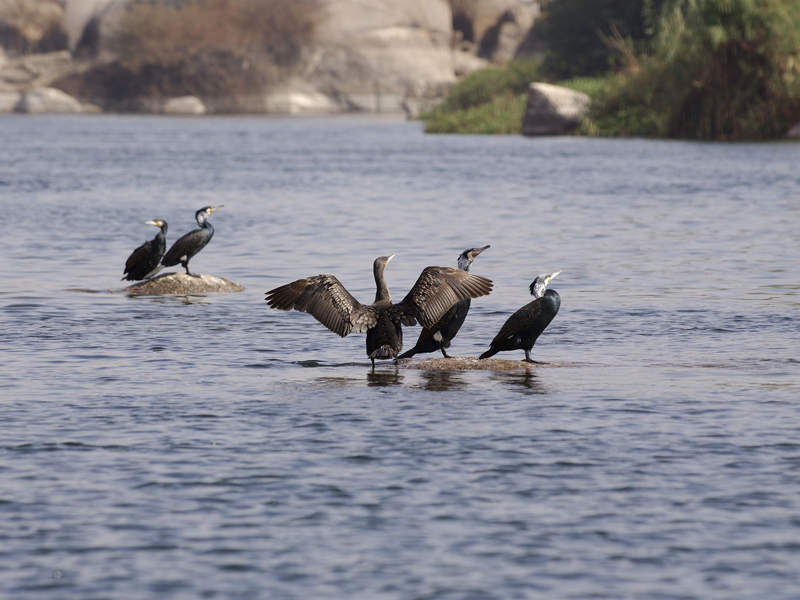 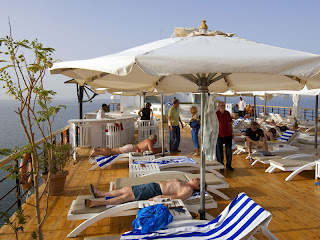 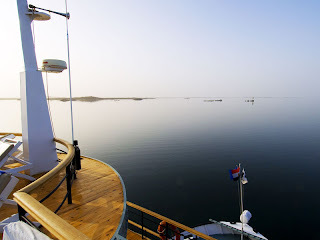 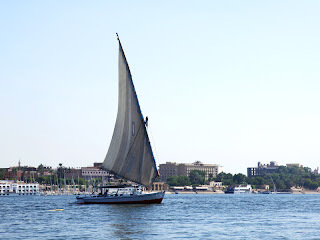 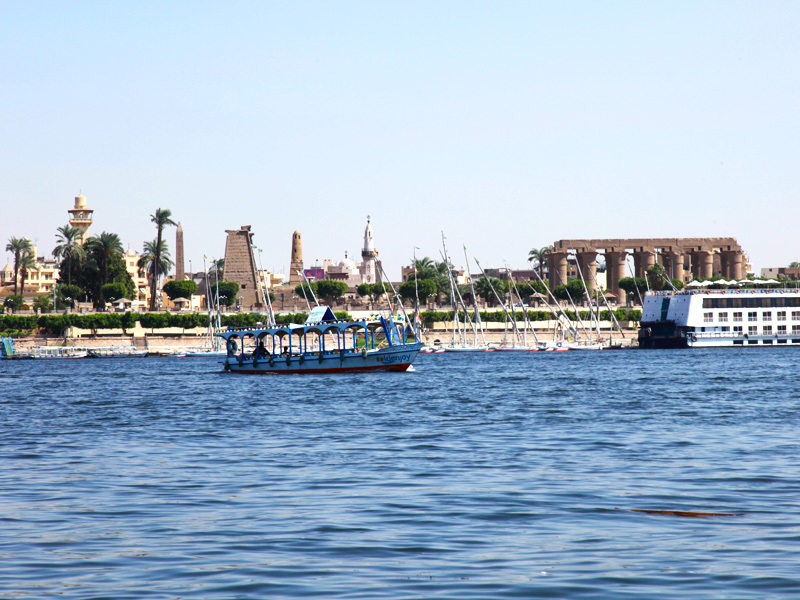 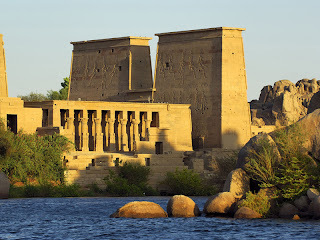 Aswan offers a splendid view of the Nile and is a great starting point for a Nile cruise. 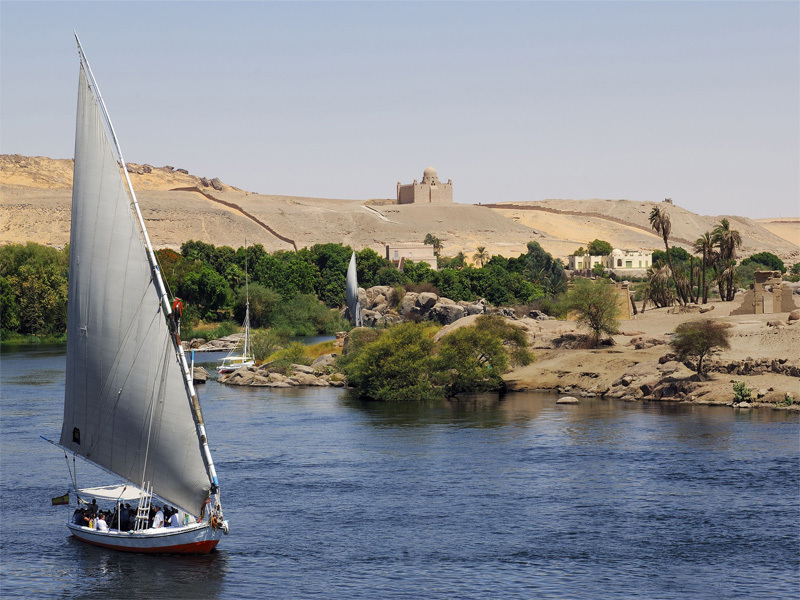 Aswan also offers a rich cultural experience; you’ll get to know Nubian culture and shop for spices, henna tattoos, souvenirs and African handmade goods at the Aswan souk. 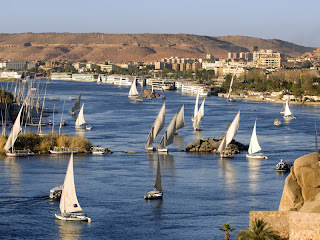 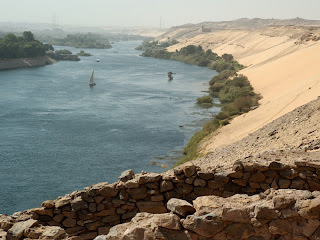 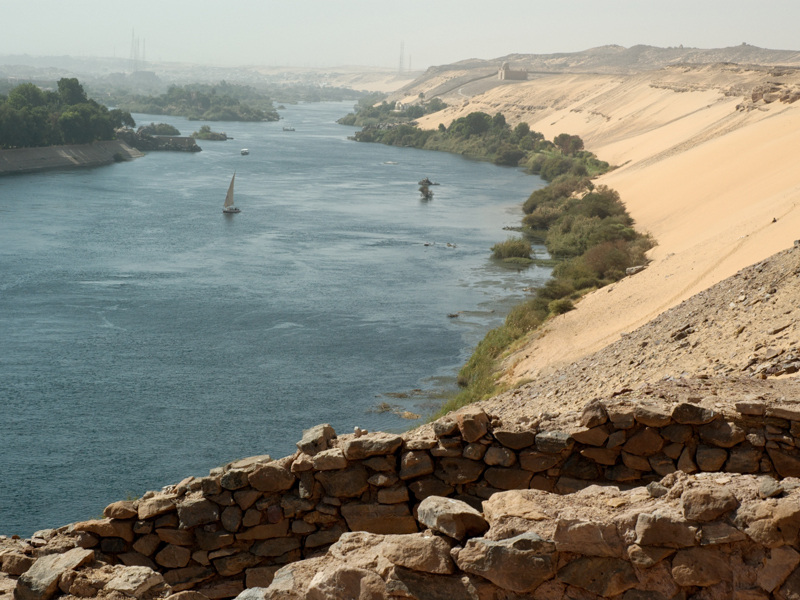 The word Aswan derives in fact from the Ancient Egyptian word “Soun” meaning souk or trade. 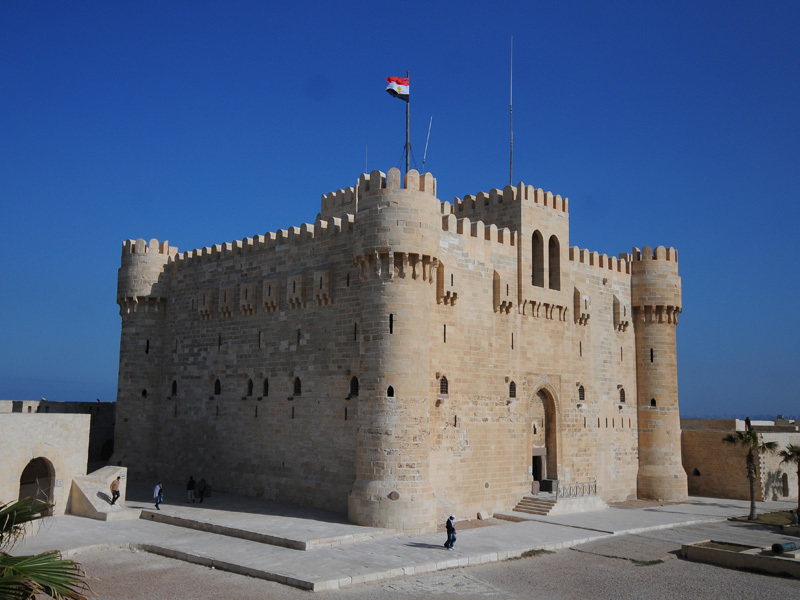 It has earned its name thanks to the city’s strategic position, on the trade route linking the North of Egypt to its South. 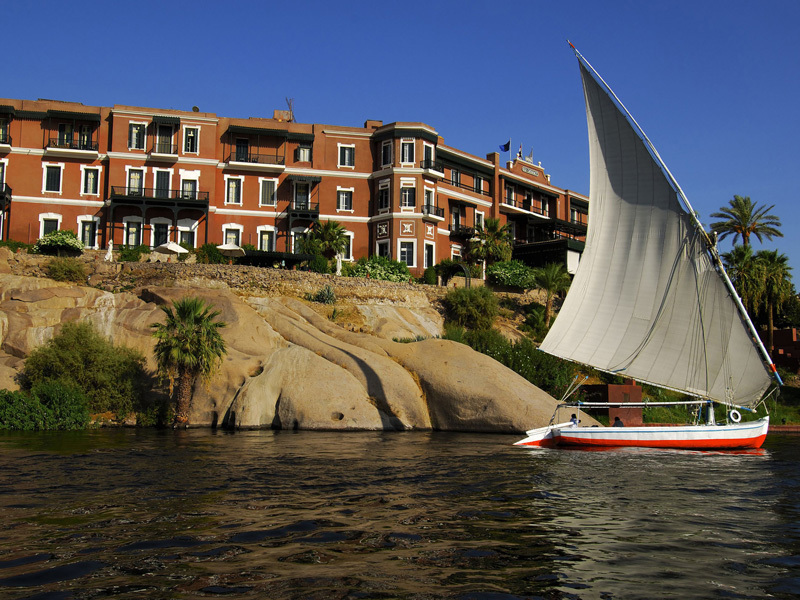 Since Ancient times, Aswan has also been known for its environmental therapy: burying the aching parts of your body in Aswan’s sand gives valuable results and can help relieving you from stubborn ailments such as rheumatism, arthritis, joint edema and skin inflammation. 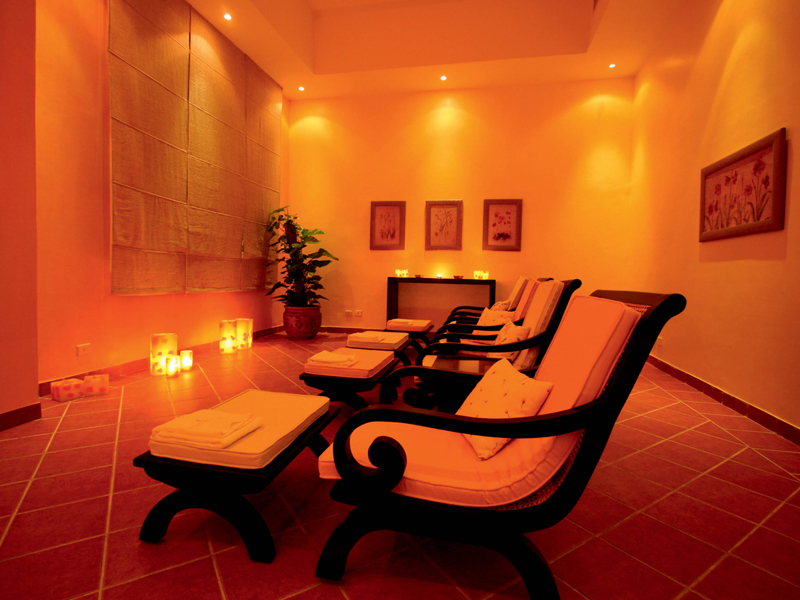 The town’s climate is also known to have great relaxing and rejuvenating properties. 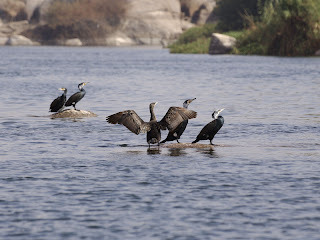 The best times to visit Aswan are May and September, summers are scorching, and winter temperatures have been known to reach 27 during the day, with cold nights. 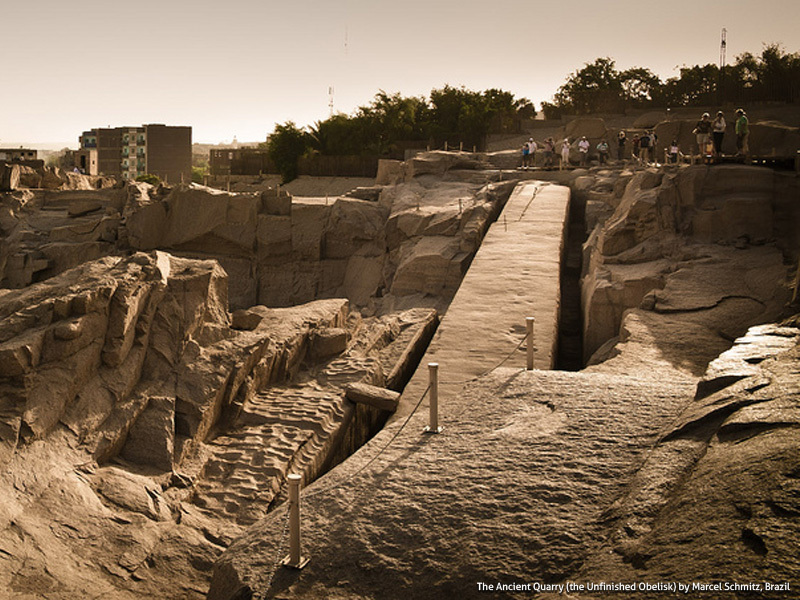 Luxor, once an Ancient Egyptian capital, is known today as the world's "greatest open-air museum." 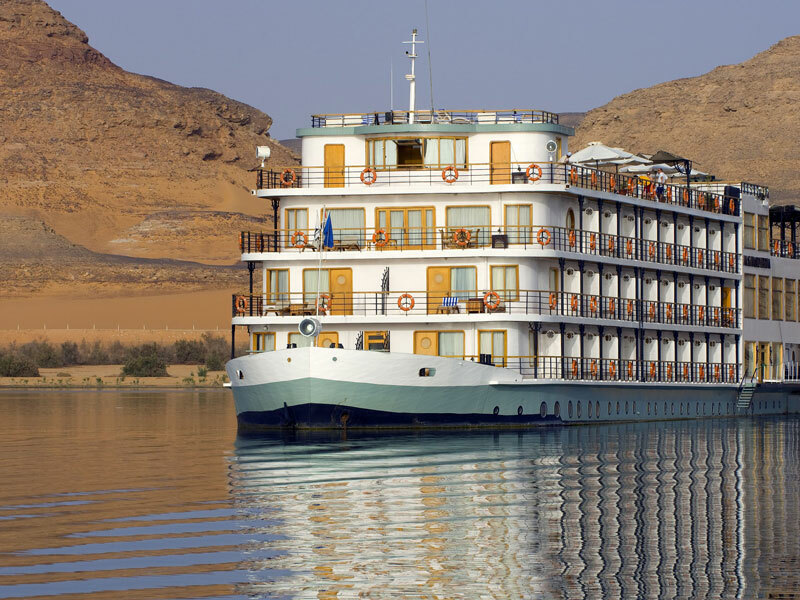 From the tomb of Tutankhamen in the Valley of the Kings and the magnificent sunset views at the majestic temple complexes of Karnak and Luxor to the exciting and fun Nile cruises, Luxor is the perfect choice for culture vultures. 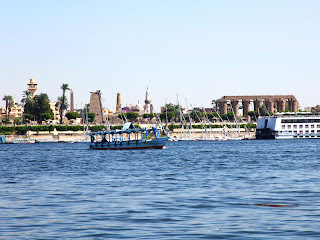 Luxor is divided by the Nile into two areas commonly called the East Bank and West Bank which were considered in Ancient Egyptian times as symbolizing respectively Life and Death. 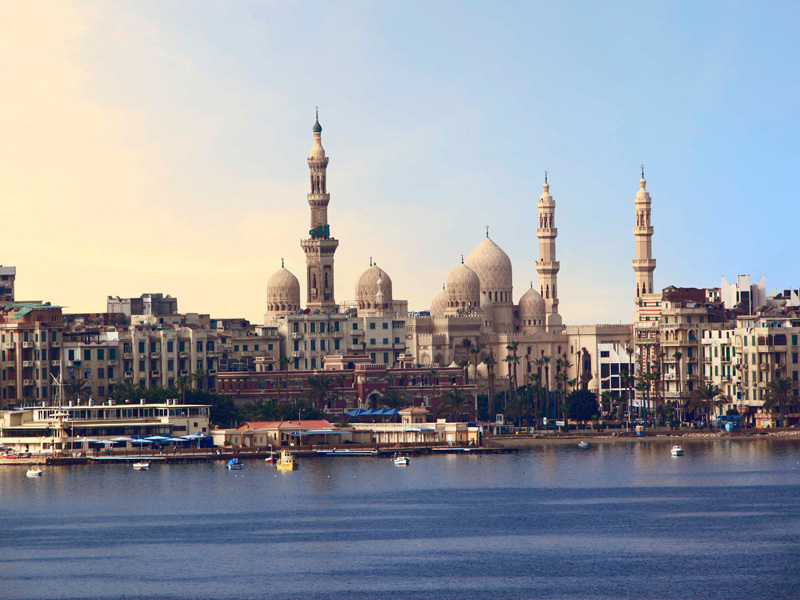 While the East Bank has grown to become a modern city, it has retained its lush green setting, its traditional bazaar and stunning view of the Nile. 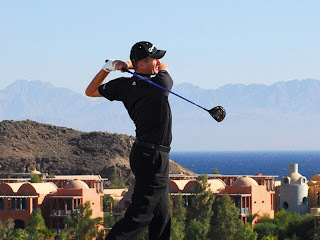 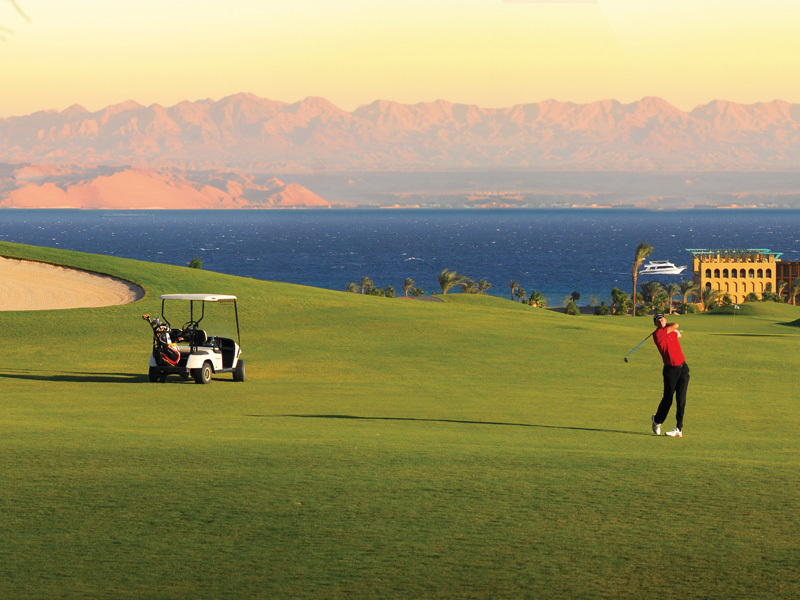 The East Bank boasts some of Egypt's most refined hotels, home to amazing Spa's and a golf course. 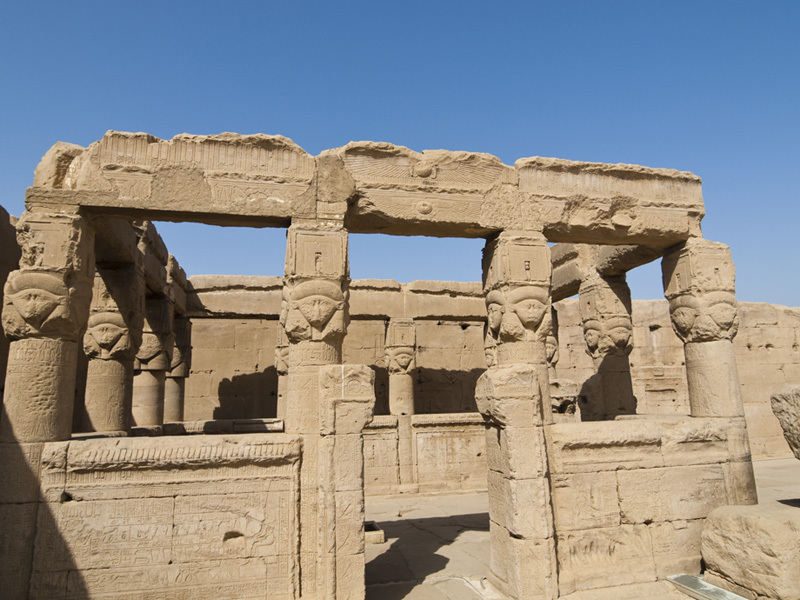 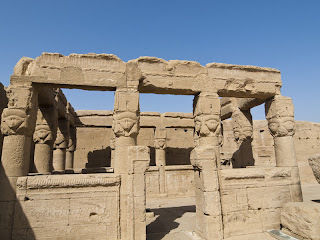 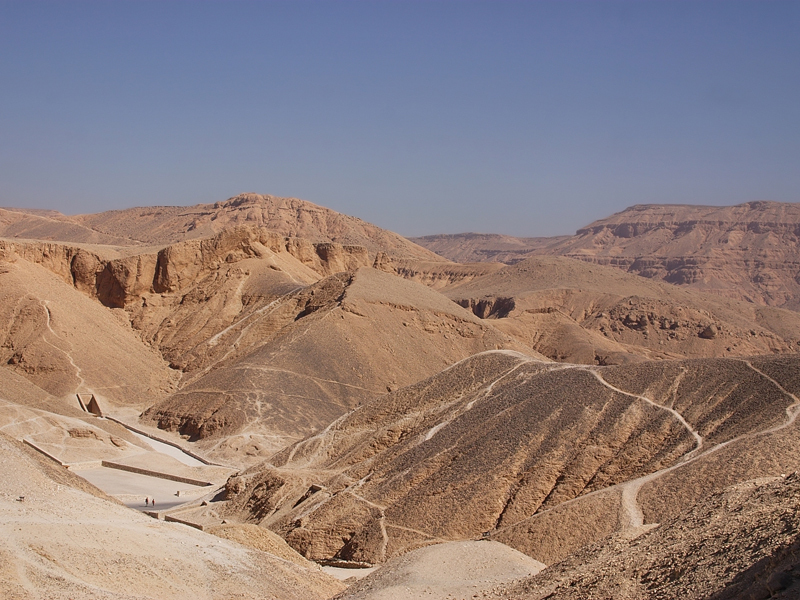 The West Bank is known for its necropolis and mortuary temples: the Valley of the Kings, the Valley of the Queens, the Workers Village, and the Temple of Medinet Habu are the highlights of Luxor’s West Bank. 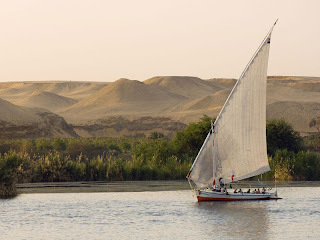 In Ancient Egyptian mythology the setting sun to the west symbolised the journey to the afterlife, so it was fitting symbolism to bury the dead west of the Nile. While in Luxor, you can opt for a simple accommodation at one of the simple hotel of the West Bank, where archaeologists used to stay when on excavations missions, or you can take it to the other extreme by staying at one of the town’s luxurious establishments, such as the El-Moudira Hotel on the West Bank or the history-filled Old Winter Palace on the East Bank.